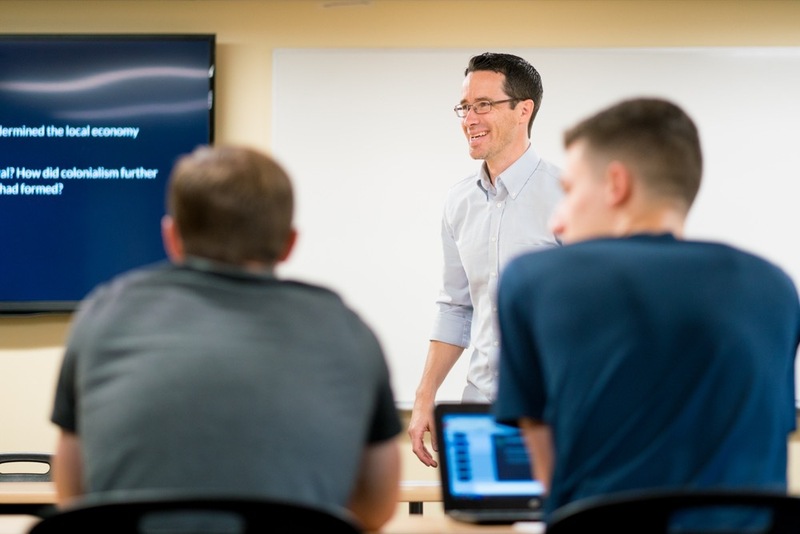 Timothy Seidel, assistant professor of international development at Eastern Mennonite University, has been selected from a competitive, national pool of nominees to participate in a faculty seminar on the teaching of interfaith understanding. The seminar is offered by the Council of Independent Colleges (CIC) and Interfaith Youth Core (IFYC), with support from the Henry Luce Foundation. Seidel is also director of EMU’s Center for Interfaith Engagement, and teaches in the graduate program of EMU’s Center for Justice and Peacebuilding. He has worked in various development and peacebuilding contexts in North America and the Middle East, including serving for several years with Mennonite Central Committee (MCC), first as peace development worker in Palestine-Israel and then as director for Peace and Justice Ministries in the U.S. Seidel previously taught at American University and Lancaster Theological Seminary. He holds a PhD from the School of International Service at American University in Washington, DC. Twenty-five faculty members will participate in the five-day Teaching Interfaith Understanding seminar that will take place June 17–21, 2018, at DePaul University in Chicago, Illinois. The seminar will be led by two oustanding scholars: Eboo Patel, founder and president of IFYC, a Chicago-based organization building the interfaith movement on college campuses; and Laurie Patton, president of Middlebury College and former dean of Trinity College of Arts and Sciences and the Robert F. Durden Professor of Religion at Duke University. The program aims to broaden faculty members’ knowledge and strengthen their teaching of interfaith understanding, with the development of new courses and resources. For more information, visit www.cic.edu/TeachingInterfaith.